Being Active is a Family Thing! America seems to have lost its adventure for the outdoors. In the days of desk jobs and electronics, we as a society are collectively becoming more and more sedentary. When I was a kid and I was bored, I rode my bike or ran down to the neighborhood baseball diamond with my friends. When I wanted to talk to my friends, I would walk over to their house and knock on the door. Now, kids sit around playing video games and texting each other. Somewhere along the way, we lost that desire to get out and explore. It is an easy trap to fall into; I did it myself. As busy as life gets, I found it too easy after a long day/week at work to make excuses to do something active during those times when I free. It takes discipline and a desire that many people today just don’t have. It all changed for me when I had kids. It was onIy then that I began to fully appreciate the importance of staying active and quickly realized that it was my job to instill that same understanding in my children as they grow. 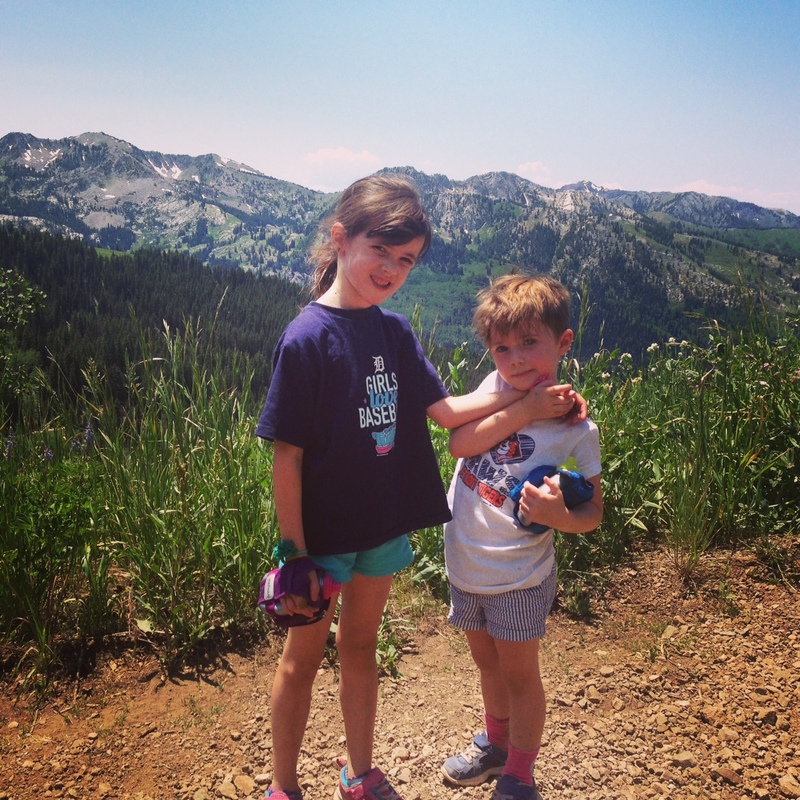 As a family in Utah, we have easy access to some of the best mountains in the country, so naturally, we gravitated toward hiking as a family activity. No matter where you live though, there are a plethora of activities that you can do as a family to promote a healthy lifestyle. It just takes some time to figure out what works for you and to stick with it once you start. An active family lifestyle can instill many things in your children as they grow up, but here are some of my favorites. Respect for their body. We are only given one and it is precious. It is our own job alone to take care of it. Being active not only helps you to develop a love for your body, but also helps you understand its abilities and limits. Hard work ethic. Being active is difficult, which is why many people struggle with it. When we hike as a family, we always look for challenges courses that require us to climb up hills. This has helped my kids understand how to push forward and enjoy the reward at the end (which sometimes does include a trip to get ice cream on those particularly hot days). Appreciation for the world around us. Hiking for us as a family is not all about work. We take time to appreciate the mountains, the flowers, the animals, and the insects. My kids have learned throughout this process to care for the world and to preserve it so that others may share in its beauty. The importance of family time. In today’s world, children have access to many sources to learn from, but my wife and I still believe that it is up to parents to ensure that children grow up to be strong, productive members of this world. Our time together hiking gives us the opportunity to talk to our children with no distractions and to understand them as people as they grow up in this world. This time is some of the most important that we spend together. I can see that our kids, currently four and six years old, are absorbing these lessons that we teach them with each and every journey. 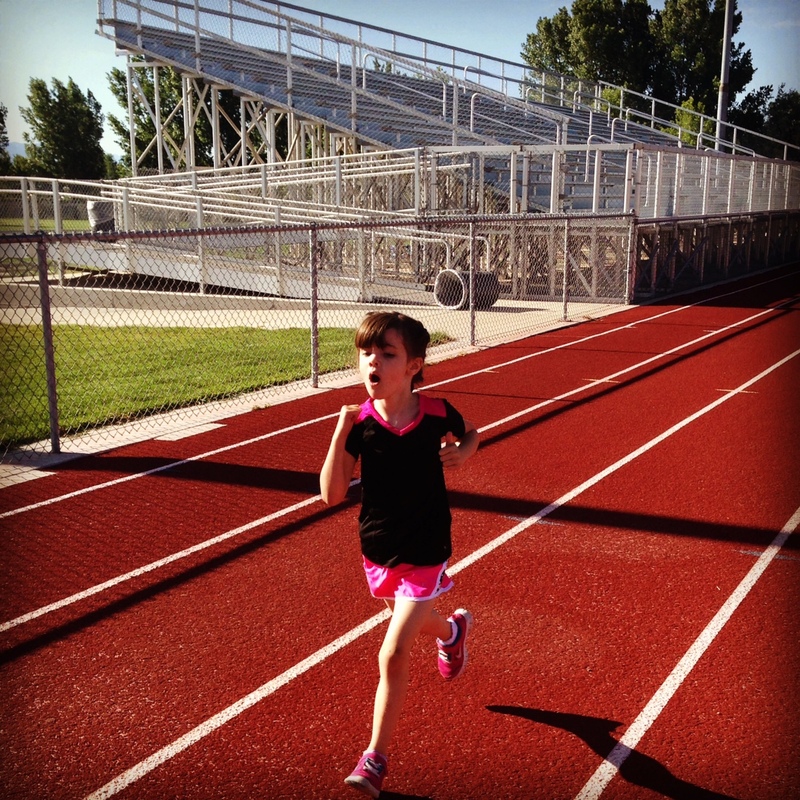 My six year old asked us to run a race and is running her first 5K later this summer. Our goal is to help instill activity as part of their lifestyle so that as they continue to grow up, they don’t feel like being an active person is a burden, but a privilege. So with that, put down that smartphone, grab your family, and get outside! This entry was posted in Uncategorized by Ultrarunner Joe. Bookmark the permalink.